Caroline was the daughter of Benjamin Treadway and Elizabeth Allen. 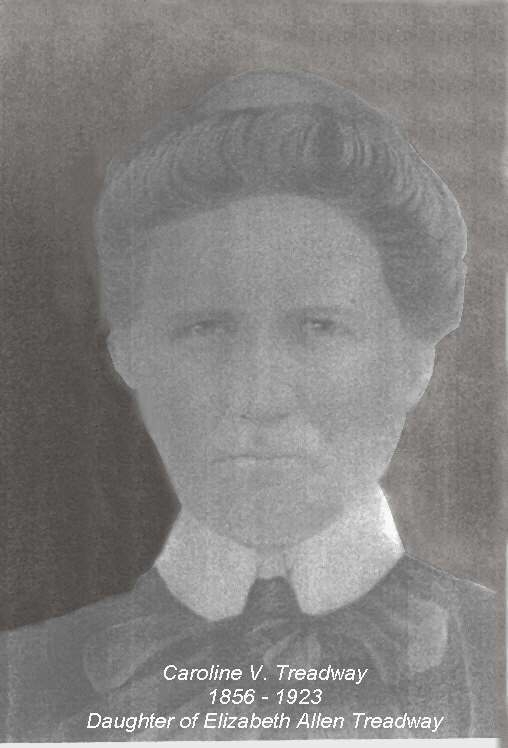 Elizabeth was the daughter of John Allen and Esther Jane Neal. Sent to me by Deb Clarkston, who’s husband is a great grandson of Elizabeth Allen Treadway. Were Adams, Stanley, and Lyon the surnames of Caroline Treadway’s husbands? If so, what were their given names? Any children?